Ansel Adams had no concept of a day off, so in July of 1974, he hired me as his second assistant. First assistant, Ted Orland, worked Monday through Friday, while I took the weekend shift, working Friday through Monday. This was Ansel's way of assuring there wasn't an idle moment, especially when there was work to be done. My first "gotta do" after I was hired was to find a place to live. Carmel photographer and early mentor Al Weber found temporary lodging for me in a rustic house on the road to Big Sur's stunning Pfeiffer Beach. For my first month or two with Ansel, I often started my mornings photographing at the beach before driving up to foggy Carmel for work. This image was done one such magically quiet moment. 4x5 Ilford FP4. 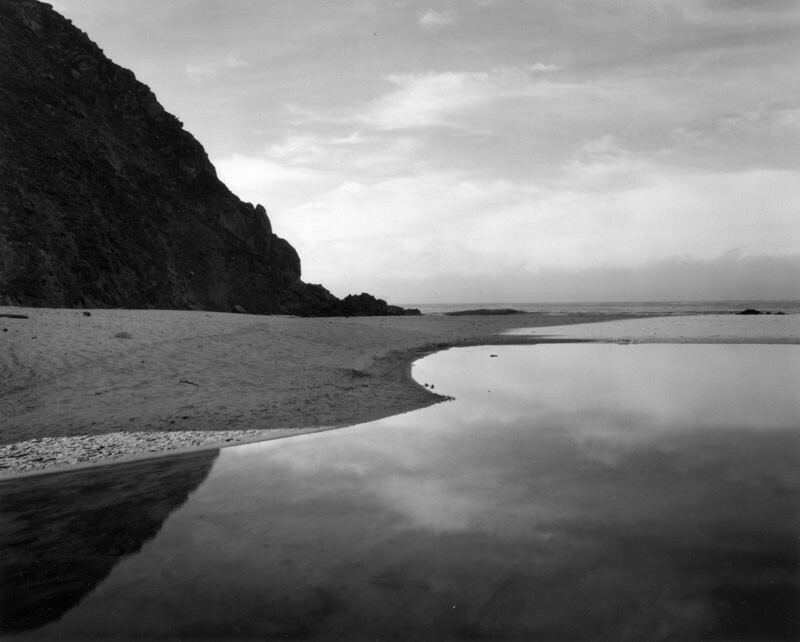 Each silver gelatin print is individually hand-crafted by Alan in his Santa Fe, New Mexico darkroom. The prints are made on the finest quality paper, selenium toned, processed and presented according to current archival standards. Each print is signed and numbered and available in editions of 100 or 150.